freethinker n. One who has rejected authority and dogma, especially in his religious thinking, in favor of rational inquiry and speculation. free-think-er n. A person who forms opinions about religion on the basis of reason, independently of tradition, authority, or established belief. Freethinkers include atheists, agnostics and rationalists. "Freethought is the application of critical thinking and logic to all areas of human experience, and the rejection of supernatural and authoritarian beliefs." See "What Is A Freethinker?" for a more complete definition. Freethought is fundamentally a philosophical, not a political position. Freethinkers include virtually all political persuasions, including capitalists, libertarians, socialists, Republicans, Democrats, liberals and conservatives. Though political positions with regard to the freedom of religion, the separation of church and state, and the general maintenance of our secular government and society are often associated with freethought. Diverse political views are discussed in certain of our forums designated for such purposes. Many SKPs are reluctant to come out of the closet as non-believers and the Freethinkers BOF provides them with information, support, and community. Non-theists are often ignored or marginalized in our religion dominated culture. There are five specifically religious BOFs within Escapees and two more with religious overtones. The presence of the Freethinkers BOF serves as a reminder to everyone that "we're here too." This website was designed to be highly interactive and our members enjoy the power to contribute significantly to its content. Due to these and other website features, our members are better equipped to connect and stay in touch as we travel than are the members of any other Escapees BOF. The SKP Freethinkers BOF is a subgroup of Escapees RV Club so you must be a member of Escapees to join our BOF and receive full member privileges on this website. Find out more about Escapees by visiting the Escapees website. Visit our Links for more information on freethought and related subjects. We maintain various member discussion forums which are accessed through our Members Only Area. They are flexible in content, member moderated and have liberal but firm guidelines which are outlined in our Members Only Area (to access, use the tab on the menu bar at the top of this page). Please read our New Member Information first. Want more information on Freethought? See: Freethinkers: A source guide to atheists, humanists and other nontheists for an in-depth guide, definitions, and resources. SKPF BOF Members may use our forum. All others should use Contact Us. What is a BOF group? "BOF" stand for Birds Of a Feather. 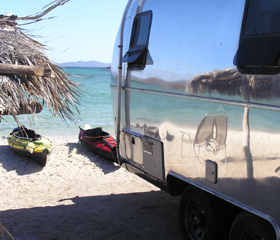 Escapees features special interest groups for the association of like minded members of the RV Club. There are many such groups from Quilters to Nudists. See Escapees BOF Groups for a complete BOF listing. SKP Freethinkers BOF is one such group and is advertised on the Escapees website at SKP Freethinkers. FAQ: "What's with the turtles?" A well-known scientist (some say it was the philosopher Bertrand Russell) once gave a public lecture on astronomy. He described how the Earth orbits around the sun and how the sun, in turn, orbits around the centre of a vast collection of stars called our galaxy. At the end of the lecture, a little old lady at the back of the room got up and said: "What you have told us is rubbish. The world is really a flat plate supported on the back of a giant tortoise." The scientist gave a superior smile before replying, "What is the tortoise standing on?" "You're very clever, young man, very clever," said the old lady. "But it's turtles all the way down!" Our founder thought that was funny and since we could think of no visual way to represent freethought, we facetiously adopted a turtle as our logo Look closer and you'll see that the shell is covered with freethought related symbols. Look even closer, at the edge of the shell, and you'll see the names of some famous freethinkers. On the side of the wagon is a Mark Twain quote, "Faith is believing what you know ain't so." The collar with a broken chain symbolizes our break with religious bonds and traditions. Turtles carry their 'home' along with them as do the RVing members of our club. And the trademarked Escapees 'house in a wagon' links us to our parent organization, a requirement of all BOF group logos. Click of the Scarlet "A" of atheism to read about the "Out Campaign." As of May, 2013 the SKP Freethinkers BOF has 248 active member families. Copyright © 2006-2013 SKP Freethinkers BOF.